Through profound grief, I discovered gratitude. Through vulnerability, IÃ¢‚¬„¢ve found strength. Suffering isnÃ¢‚¬„¢t brave, but itÃ¢‚¬„¢s part of the agreement we make in return for being human. In the days after my late husband's suicide, when I struggled to breathe properly or imagine a path forward for myself and my 9-year-old daughter, I began posting yellow sticky notes in places I couldn't avoid. Eventually, the sticky notes dried up. The questions and suggestions fell into the sink or on the floor, gathering with the dust and chaos suicide leaves for others. But, the choice inherent in those messages stuck with me. Life or death. The vast majority of these survivors go on to accept help and find meaning. The media should pay less attention to the details of the suicide, and provide more resources for help. Coverage should include the wisdom of people who have been severely depressed or suicidal and recovered. These are stories of transformation, and they speak to a renewed appreciation of being alive. After two suicide attempts, he was finally diagnosed with bipolar disorder. I'm still not certain that was the right diagnosis. A better diagnosis is that he gave up on living. In the weeks before his suicide, he was hospitalized in a windowless room that looked a lot like "One Flew Over the Cuckoo's Nest." We sat each night on stiff couches as other patients shuffled around. "We'll get through this." I offered, panic stricken. "One day at a time." I didn't realize the mind of suicidal ideation is a circular track with no on or off ramps. His hands moved listlessly. His eyes were flat. Imagine if we'd met with other people who suffer from suicidal ideation, but who keep their careers and their children. Imagine if we'd been offered hope instead of a dim view of the future. This isn't the obligation of the media, but if we truly want to change the growing suicide rate, our stories, our narrative of suicide must change. 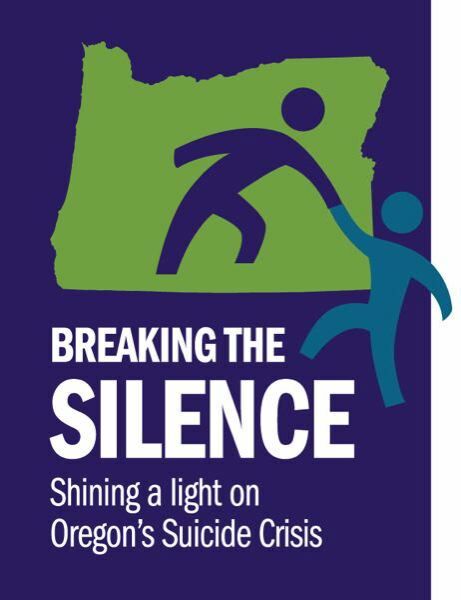 A couple of years ago, I spoke at a high school in Washington where there had been a cluster of suicides. The school's position was no memorials, no mention of the loss of several classmates. But, when I asked the students if they were aware of the tragedies, every hand went up. They didn't need more details of the deaths. They needed more details about where to get help. And how to live with anxiety and depression. Choosing life doesn't mean living without pain and suffering. That's all part of the deal. But, my husband's choice to move away from his pain toward the unknown paradoxically changed me for the better. Through profound grief, I discovered gratitude. Through vulnerability, I've found strength. Suffering isn't brave, but it's part of the agreement we make in return for being human. I climbed out of the cave of grief and moved toward love and what I can count on.